Sarah lives, breathes and bleeds beauty, health and wellness! 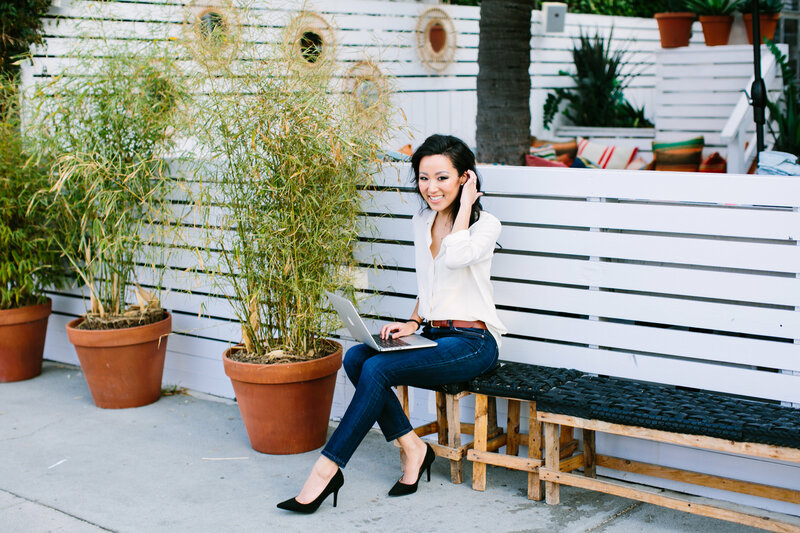 She’s a bona-fide journalist and editor (not your run-of-the-mill writer), the real deal! Combine that with her mind-boggling organizational skills, sixth sense for trends and uncanny ability to breathe life into your brand’s voice. Work with Sarah if you want excellent content and a brand personality that catches the eye of your most coveted customer or editors. 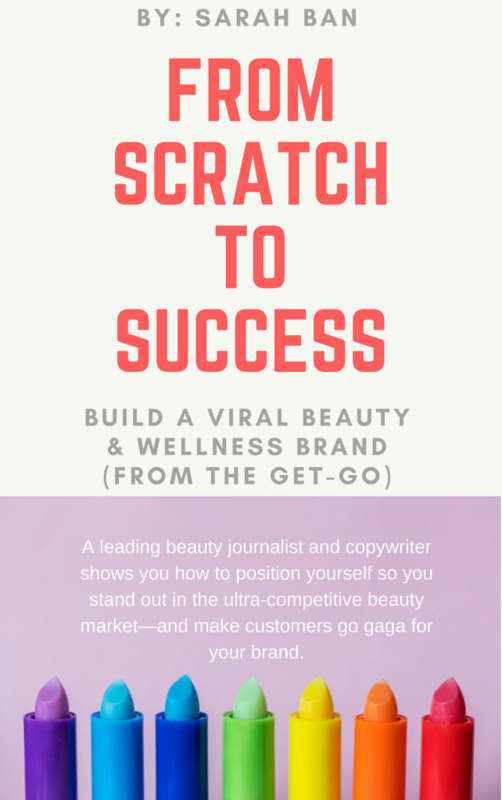 Click here to learn about my intensive workbook, “From Scratch to Success: Building a Viral Beauty Brand” and how it can help you become a household name! 1. I’m a digital journalist and editor who can research, report, interview, write and perform editorial roles for your publication. My work has been published in magazines such as SELF, NYLON and Elle as well as digital platforms like Organic Authority, EcoSalon and TheKitchn. I’ve served as the primary editor at Makeup Madeover and Living Healthy. 2. I’m a marketing copywriter (for brands who understand the value of copywriting–and are serious about working with a professional). Are you a marketing manager/director or intrepid small business owner? Do you know you’re well poised for unbridled success in the beauty, health or wellness industry because you have something extraordinary to offer? But as amazing as you are, you don’t exactly know how to turn your content into customers. Your blog is neglected (and not making you any money), and deep inside you know there are future, paying fans out there who you don’t know you yet. I focus on your highest-return activities for optimal profits and popularity. We worked with Sarah during a critical growth and branding period for Circcell. We were all so grateful at how hands off we could be working with her. She always managed to come up with relevant, fresh topics and wrote wonderful pieces and she did this all with little direction from us. We were impressed at how quickly she learned about our brand, products, ingredients, etc. She truly became a Circcell expert overnight. The response to her blog pieces has been tremendous and has resulted in increased newsletter sign ups and engagement. Everyone at Circcell highly recommends working with Sarah! According to the latest market research from Lucintel, the global beauty care products industry is forecasted to reach around $265 billion by 2017. And according to Euromonitor International, health and wellness will grow to be trillion-dollar industry by 2017. Your competition isn’t going anywhere. And your competition has bigger marketing budgets to implement gloss magazine-level editorial content featuring A-list influencers—plus advertising budgets to keep them at the top. And in this crowded marketplace, you not only need to content that sets you apart, but you also need the content to contribute to your bottom line (profits + popularity). Think about Maslow’s Hierarchy of Needs this way: Your products fulfill an immediate need, like clearer skin, but words are what offer the emotional and mental bond you need to create loyalty and trust with your customers. So what do you need to get your (perma) place in the spotlight and make customers hoard your way? Your solution may be an email away. I work with beauty, health & wellness brands that need help with writing, editing and showing off their authority by offering research-backed content and ultimately, a riveting brand that customers (and press) go back to again and again and again. I show them how to ditch the tearfully boring blog posts, unnoticed e-newsletters and sad, drab websites and draw in fans through gravitational storytelling with my expert editorial direction and wordcrafting, while spewing actionable, results-making advice on web and in-person image. What’s the point? To get your customers—and buying your stuff already—again and again. And also, to prepare you for becoming a beloved press darling for when you blow up. Want to know what I do? See what services I offer. Want to know who I am and who I’ve written for? Visit my bio.